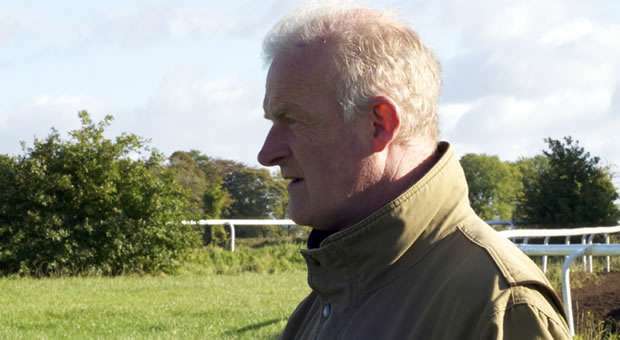 The one word used most frequently in conjunction with Ireland's Champion Trainer, Willie Mullins is ‘raid'. Hardly an article gets written these days about the man that doesn't involve him plotting some type of raid or assault on UK racing to the extent that I joked about it with him. 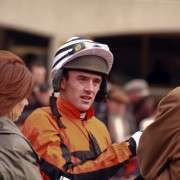 According to Mullins somebody was ‘Having a slow news day' when they concocted the idea that he was about to set up shop in the UK and take every race he cold get his hands on. It's almost prohibitively expensive to set up a satellite yard in the UK just to run in a few more races, particularly when Mullins is so well placed in Ireland that he can sail over in a couple of hours. 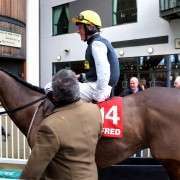 Having said that, it hasn't stopped him entering the largest number of runners into the 2014 Grand National, something he also did the last two year's running and his numbers are pretty consistent with eight potential contenders in 2014 with the same in 2013 and eleven in 2012. This year's crop include Away We Go, Boston Bob, On His Own, Prince de Beauchene, Quel Esprit, Rockyaboya, Up The Beat and Vesper Bell. On the surface this looks like a very decent hand but On His Own has run twice before and fallen both times and despite two previous entries, Prince De Beauchene has never run due to injury. Up The Beat just had his first run in nearly two years and finished last and currently has an OR of just 122 which is just about the bare minimum to qualify and nowhere the rating needed to make the line-up of 40 Grand National Runners. 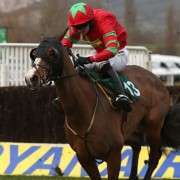 Boston Bob, a terrific horse, has also got three alternative Cheltenham Festival entries and the chances are you may very well see him in the Ryanair Chase rather than over the Aintree fences becuase it's highly unlikely he would run in both. Away We Go is now 11-year-old and although that certainly is not a barrier to winning a Grand National, think Neptune Collonges, he hasn't run yet this season. 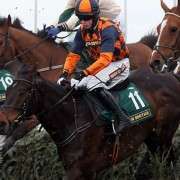 He was last seen at Sandown back in April 2013 and on his current rating of 134, he wouldn't make it into the Grand National either – based on last year's runners. So that leaves us with Quel Esprit, Vesper Bell and Rockyaboya. Quel Esprit ran in 2013 but was pulled-up and honestly he's a horse that relishes slogging it out in the heavier ground which is the majority of his wins have come from. Vesper Bell has the odds stacked against him. Firstly he's only 8-years-old which statistically is a little young but he's also on pretty poor form. From the three races this season so far he's fallen, unseated and languished 38L behind the winner to finish in 9th spot. 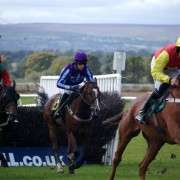 However, if he runs in the Grand National trial at Haydock and puts in a good performance his chances will look better. And finally, Rockyaboya. He's light on chase experience with only five under his belt, but his form is okay. His problem is that his OR is 124 which realistically would mean needing a miracle to get into the top 40 runners. So although down, Willie Mullins is certainly not out of this year's race to the Aintree finishing post, it's just going to be a lot tougher to get there with less ‘raid' and more ‘wing and a prayer'.